Applications for the Kinder Scholars program are now closed. Materials for the 2020 Kinder Scholars program will be made available no later than September 2019. 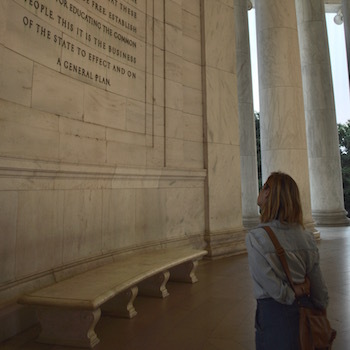 A Summer Immersed in D.C. 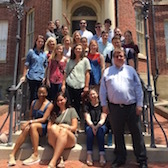 The Kinder Scholars D.C. Summer Program provides rising juniors and seniors at the University of Missouri with an opportunity to immerse themselves in a course of study on the American constitutional and democratic traditions that uniquely weds theory, history, and practice. 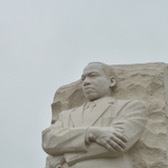 Specifically, by combining coursework on the United States’ constitutional history from the colonial period through the modern day with an academically-based internship, Kinder Scholars participants will be able to apply classroom knowledge to practical experience (and vice versa) in a way that deepens their understanding of both the philosophy and function of democracy in America. The Kinder Institute offers significant financial assistance to participants, providing all members of each class of Kinder Scholars with housing as well as a $1,000 stipend to defray other expenses related to studying, working, and living in the nation’s capital. For a peek behind the curtain of last year’s program, click here and here for installments from our “Notes from the Capital” series of correspondences with the 2018 Kinder Scholars. 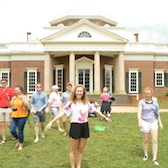 First and foremost, the Kinder Scholars program is academically driven, and participants must enroll in and complete all coursework for HIST/POL SC 4900: Beltway History & Politics. Taught by Kinder Institute faculty in a seminar setting, the course is designed to engage students in an in-depth examination of the philosophical foundations and historical development of American constitutional democracy from the colonial age through the present day. 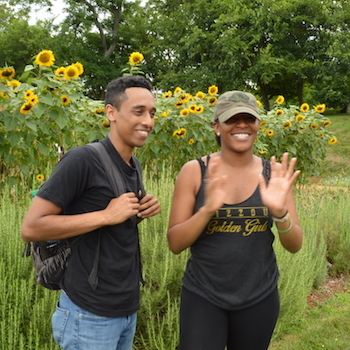 The seminar follows the University of Missouri’s eight-week schedule for summer courses, and students will receive three (3) credit hours for successfully completing the course. 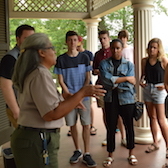 There is also an experiential element to the seminar, in the form of field trips that enhance students’ studies by allowing them to learn about constitutional history in places where it actually unfolded. Field trips take place on Friday or Saturday, and participation is mandatory. In order to ensure that participants have an opportunity to supplement their coursework with practical experience, the Kinder Scholars program also requires students to intern Monday-Thursday (min. 25 hours per week) at an organization in D.C. whose mission relates to their study of the theory and history of American constitutional democracy. 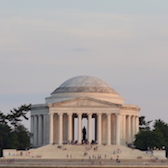 D.C. provides numerous different avenues for pursuing this kind of academically-driven internship work, including on Capitol Hill, in the lobby firms on K Street, at media outlets, and in the not-for profit sector. Past Kinder Scholars have taken advantage of the multitude of opportunities in the capital by interning with NBC D.C., NPR, and Street Sense; at think tanks and non-profits including the American Federation of Teachers, American Enterprise Institute, and Federalist Society; in government agencies such as the U.S. Supreme Court, Federal Reserve, and Department of U.S. Citizen & Immigration Services; and in the offices of Senators and House Representatives from Missouri and beyond, including Sen. Claire McCaskill, Sen Joni Ernst, Congressman Emanuel Cleaver, and Sen. Vicky Hartzler. Students can receive up to six (6) credit hours for the work they complete at their internships by enrolling in HIS/POL SC 4940. While program faculty and staff will be happy to offer advice and assistance to students as they search for summer work, participants are ultimately responsible for arranging their own internship. While living at 2807 Connecticut Ave., NW, in the heart of historic Woodley Park, participants in the Kinder Scholars Summer Program will enjoy the perks of residing in one of D.C.’s most culturally vibrant neighborhoods and the convenience of having the entire city at their fingertips. With the Woodley Park/Adams Morgan Metro stop just two blocks from the residence, students can be in Dupont Circle, downtown Washington, D.C., or Capitol Hill within minutes of leaving home. The Woodley Park Center where students will be residing is a secure apartment building operated by the Washington Intern Student Housing (WISH) program, and it provides tenants with a 24-hour on-site staff, an assortment of modern amenities, and a community of students and interns from around the globe. The WISH program also sponsors numerous social events for residents interested in participating and offers classroom space for the Kinder Scholars’ weekly seminar.